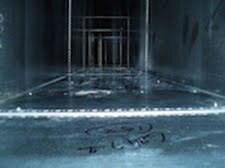 Hobbs & Porter can provide a kitchen ventilation duct cleaning service to restaurants, schools, hospitals etc. throughout the UK. 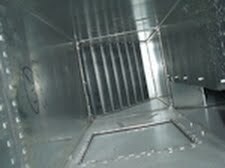 Cleaning to HVCA TRI9 Standards. 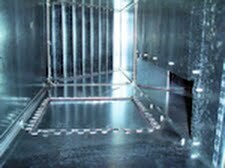 Square section ventilation duct before clenaing. 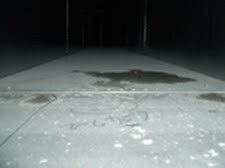 Square section ventilation duct after cleaning.